The Rancho Deluxe was developed in full synergy with its neighboring communities, the villa is a premium beachfront getaway featuring the charm, culture, and bewildering natural biodiversity of Costa Rica and its Guanacaste province. The villa is construction utilizes only local hardwoods and locally manufactured floor tiles. Perfect for family vacations, romantic getaways, honeymoons and ecological escapes with spectacular ocean views and seclusion. The Villa de Rancho Deluxe has a stunning beachfront view of Playa Camaronal; located 200 feet above the beach, which allows for a cool afternoon ocean breeze. The fully air conditioned villa sleeps four people, has one bathroom, SKY TV and a full kitchen. There is a beautiful lap pool and sunning decks for our visitors to enjoy. The villa is gated and has 24 hour onsite security and conveniently accessible from the nearest towns of Playa Samara (5 miles), Playa Carrillo (3 miles), and Punta Islita ( 3miles). The Villa de Rancho Deluxe is also located just twenty minutes from the Punta Islita airstrip, serviced by daily flights from San Jose or a two-hour drive from Liberia International Airport. Peaceful and safe, it entices visitors with bewildering nature, cultural diversity and genuine friendship. Playa Camaronal is a remote destination with heart and culture, measuring three miles long and extending from the mouth of the Ora River, the shore is made up of grayish colored sands broken by the occasional estuary. Lush vegetation can be admired across the landscape which is backed by volcanic hills and cliffs. The beach is never crowded, with the exception of a few local surfers and volunteers from Camaronal’s turtle hatchery… Playa Camaronal is known to have a stunning beach break which is surrounded by rocks, the break is very consistent and offers word class surf nearly year round. Playa Camaronal is known to offer fishing, surfing, and bird/wildlife watching; however, it is most famous for the pivotal role it plays in the preservation of the sea turtles. It was recently earmarked as the Camaronal Wildlife Refuge (Refugio de Vida Silvestre Nacional Camaronal). You can visit at night with a MINAE guide ($4PP) to experience the Leatherback and Pacific Ridely Turtles. This was our first time booking through VRBO, the experience was great. Communications with Jerry, the owner, were nice and efficient. We loved staying at his Rancho Deluxe, it's the perfect secluded place but yet close to amenities. The site is beautiful, the apartment was lovely, clean and has everything you need. The nice size pool was a wonderful surprise! Yorleny and Santos are the lovely couple that take care of the property, but they'll give you all the privacy you need. Getting there, yes, there's a bit of a gravel road, but nothing bad, part of the Costa Rican adventure, we're used to gravel roads in some parts of the country side, just part of the charm I'll say. For those travelling with pets, just something to take note is that at the Camaronal National Wildlife Refugee dogs are not allowed. This is the closest beach to the place, and it is beautiful, you need to see it. But if you are looking for a place to swim this is not the recommended beach anyway, unless you're an experienced surfer. But there's wonderful Carrillo beach which is very close and has a great setting. Also Punta Islita which has the Beach Club as well. So if you are looking for a quiet or an exploring vacation, we recommend Rancho Deluxe. We'll definitely love to go back. This truly is Paradise Found!!!! This is our third time staying at Rancho Deluxe and as before we could NOT be HAPPIER!!! “Jerry’s Place” is all about Relaxing and Enjoying ALL that Costa Rica has to offer. Jerry’s Place is ALWAYS kept spotless, and his caretakers check in daily to see it there is anything we need. Sitting on the patio that overlooks the pool and Camaronal Beach IS a Dream come true. We LOVE the Town of Samara and the people are so friendly and helpful. 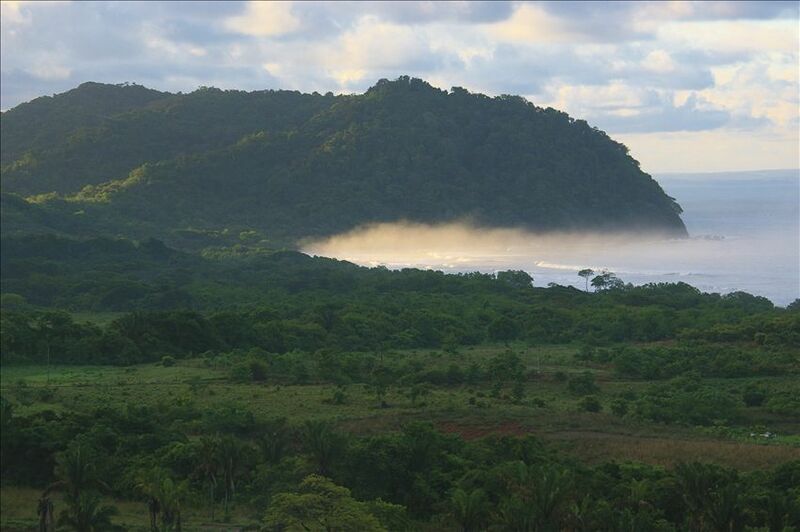 If you are coming to Northwest Costa Rica, you owe it to yourself to Stay at Rancho Deluxe. You WILL LOVE IT!!!!!!! We spent a super relaxing week here. It is a bit of a drive out of Samara, but really only 20 minutes once you know the way. The bed is so comfortable, the pool is big and deep. The view is gorgeous, always a nice breeze so we were always a nice temperature. Playa Islita, a short drive away, is a great beach for nice bodysurfing, few people, and a good menu at the Beach club. Jerry was the perfect mix of helpful and giving us our space. We hope to return! My wife and I stayed at Jerry's place for one week. The view was amazing, the apartment was perfect, and the pool was bigger than we thought. Everything you need is close by and Yorleny and Santos were very friendly and helpful. The food at Carao Project down the road was very good, and we saw lots of wildlife on their path to the beach. This is the place to stay if you like peace and quiet and want to see and hear wildlife. We had a magnificent time at Rancho Deluxe. Jerry's home is lovely. Incredible ocean views and beautiful flora and fauna. The house has everything you need. The pool is very large and refreshing. Yorleny and Santos were always available and very respectful of guests' privacy. Our only complaint, is that we had to leave this paradise. Thanks so much, Jerry. Pura Vida! Zip Lining, Camaronal is one the most consistence surfing beaches in Central America.